For patients on a quest to smoother and tighter skin and wrinkle-reduction, Dr. Darren Chin of the Ohana Medical Spa is a highly experienced aesthetic specialist providing ultherapy and the Forma system in Scotch Plains, New Jersey. Using advanced ultrasound technology, ultherapy stimulates your body’s natural collagen production to yield a smoother, firmer, and more natural-looking complexion. The innovative Forma system uses radiofrequency technology to contract the deeper layers of your skin. For quality, compassionate care, visit Dr. Darren Chin and the Ohana Medical Spa team. Call or book your consultation online. With aging, skin can start to sag and become loose, and collagen production can decrease. Ultherapy is a revolutionary technology that works to tighten and lift your skin using ultrasound waves, working gradually to tighten the skin and boost collagen production. It’s noninvasive and can be performed in the office. Dr. Chin uses an ultrasound device to view your muscles and deep connective tissue below your skin and administer concentrated, targeted ultrasound energy. The energy and low levels of focused heat cause your muscles to contract and stimulate your body’s natural collagen production. During your treatment, Dr. Chin applies a special gel to prepare the treatment area and allow the ultherapy device to glide over your skin. Dr. Chin then applies precise energy for a select amount of time. 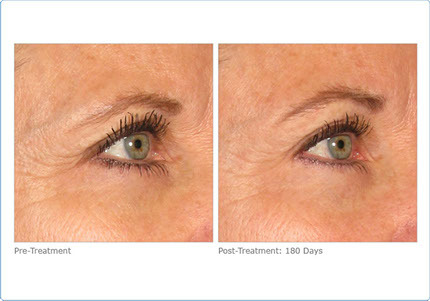 The entire ultherapy treatment usually takes anywhere from 30 minutes to one hour. You might experience mild redness and swelling, but this subsides within a few hours. You can resume your daily activities immediately after your treatment. Within a few months, you'll notice the results of your ultherapy treatment, and some people notice that their skin is tighter right away. Ultherapy is a safe and effective treatment for most people, but the best candidates have lost some elasticity in their skin and have clear and realistic expectations about what they’d like to achieve. If you have certain skin conditions or medical complications, you might not be a good candidate for ultherapy. Dr. Chin helps you decide on the best treatment options to tighten your skin and if ultherapy is right for you. Forma is a noninvasive skin-tightening procedure that uses radiofrequency to reach the deeper layers of your skin and improve skin elasticity and collagen production — two key components of healthier and younger-looking skin. The radiofrequency causes skin contraction, stimulating your body’s natural collagen production, and is most commonly used on the forehead, around the eyes, on the nasolabial folds, and on the neck. There’s no downtime and the treatments are completely painless. You can expect to receive multiple treatments for the best outcome. Dr. Chin has helped countless happy patients get closer to achieving their cosmetic goals with ultherapy and the Forma system. If you're interested in learning more about how these technologies can work for you, call or click to book online today.